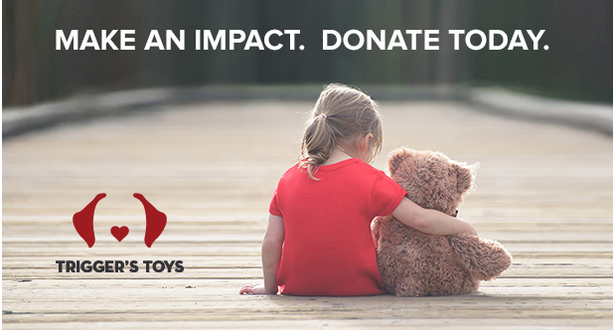 On behalf of everyone at Trigger's Toys and most importantly, those that benefit from your donations, we would like to say THANK YOU for making a difference! Below are various donation levels and what each amount means to those in need. Please use the red Make a Donation button to the right to make your donation. Janie Buss $1,000.00 Purple Rein Racing's horse True Valor won and we are happy to donate part of those winnings. Helping people one stride at a time.